I know everyone thinks the best part of a roadtrip is just jumping in your car and driving off into the distance, chasing some unknown glory. I'm here to tell you that never works... This type of holiday is likely to leave you unsatisfied, missing key highlights of the trip and never wanting to roadtrip again. I strongly suggest setting a plan on where you want to go, the key things you want to see and do and a rough time frame of when you want to be there. This way, while you have a guide on where to go and when you'd like to be there, you won't prevent yourself from staying a little longer in a destination that catches your eye, or taking a local's advice and checking out an underrated gem! My ideal roadtrip plan is to say I have 2 weeks to get from A to B, which would take 5 days direct, leaving me wiggle room to stop and explore, but making sure myself and everyone I'm with are on the same page. Leaving yourself extra time is also quite important given you are travelling on roads, which are frequently being upgraded and fixed or might be closed due to bad weather or an accident. Who you travel with can make or break your trip. You need to travel with like minded people who you enjoy (or at least can tolerate) sitting in a car with for hours on end. Choose your gang with who is up for car games, who can belt out the latest Beyonce song without sounding like a dying cat, and who can laugh and joke their way through the ups and downs that come with roadtrips. Roadtrips with a group of your girlfriends or best mates can be an awesome way to spend time together while travelling. Just make sure you are all on the same page with how long you want to travel for, the kind of places you want to visit and how you plan on splitting up driving responsibilities and DJ duties. 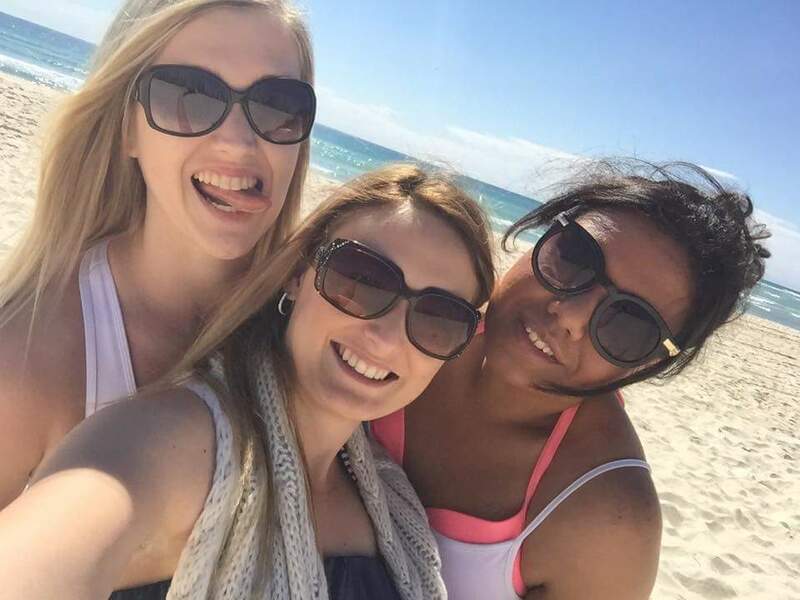 Taking silly selfies on our recent roadtrip of the beaches down the East Coast of Australia! Trust me, highly important! A great roadtrip playlist is a necessity if you plan on driving for a long time. Here in Aus, any kind of roadtrip will require several hours of driving with no stops, so having your music on point is key to beating the boredom blues and keeping the happy vibe in your vehicle. Although you might think the radio is an easy alternative, most music is often overplayed and repetitive, not to mention adverts (ugh). Apps like Spotify have pre-made roadtrip playlists, or you can create your own! Add in some golden oldies and sing-a-long's to set the mood, and maybe some party tracks for any late nights spent on the road. Just make sure you download the songs to your phone (or app) before leaving a WiFi zone so you don't either destroy your data or have no music. 4. Tis the season to be jolly! Depending on what country you are planning to roadtrip, take a look at the weather forecasts for the particular season you will be travelling in. For example, if I was going to roadtrip in the UK, I would avoid the Winter months where there can be ice on the roads and snow blocking the way. On the flip side, in Australia I would avoid the peak of Summer unless I had a really reliable car with incredible air-conditioning! Hope they don't feel the cold!! 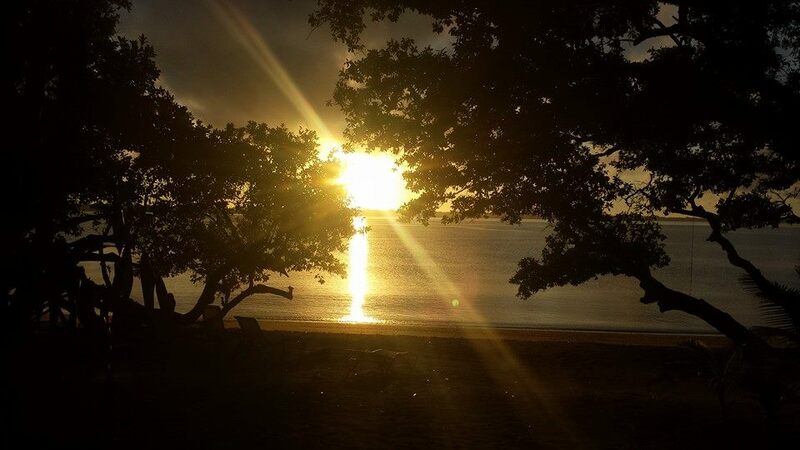 By researching your season of travel you can avoid potential delays or an uncomfortable journey. Often the places you plan to visit will have opening hours to reflect seasonal changes, but this can also mean costs rise during peak travelling weather. Roadtrips whilst incredibly fun can also be quite dangerous. Driving around an unknown place (particularly if you don't have phone service) can potentially see you broken down on the side of the road with no idea where you are or how to find help. It is super important that you think about your safety and take steps to make sure you'll be alright regardless on any hiccups along the way. 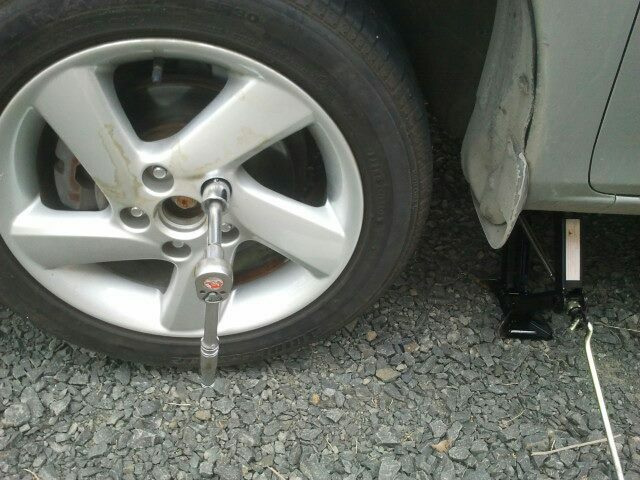 If you don't know how to change a tyre, now's the time to learn! First of all, check out your destinations roadside assistance program and see whether you can sign up for it on a temporary basis (or check your travel insurance to see if it covers road and vehicle issues). If you are hiring a car it is likely that your agency will supply you with some form of roadside assistance so be sure to ask what it includes. You should look for a policy that gives you towing, general repairs and 24/7 help. My next tip would be to let at least one person who where you are going to be at a particular time, or at least a rough idea. If you are going to be driving for a few hours in an area without reception, make sure people who where you are incase you happen to get a flat tyre or some other common vehicle issue. This way if you don't get back in contact they can alert the local authorities to look out for you. Ideally stock your car with a jerry can of extra fuel, jumper leads and a small emergency kit containing things like water, a torch and medical supplies. These are in additional to my usual packing which gets thrown in the boot for when we stop. 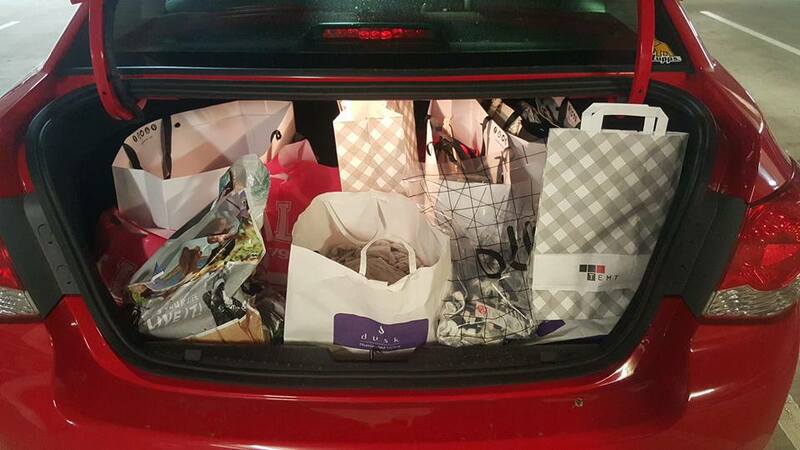 Making yourself comfortable and cosy in the car will help keep you smiling and enjoying the ride, but don't overpack so there's no room for you! Just because you might be on the road for 12 hours a day doesn't mean you should become a slob. Take plenty of plastic bags to use as portable bins and refresh the car often. The last thing you want is yesterday's McDonalds stinking up the car or the stale smell of old socks. Having a daily tidy up of your car will also make sure you don't lose any of your prized possessions and will also mean proper stops will be easier without the need to find all your belongings. Make sure you are taking plenty of breaks to refuel and stay hydrated is important. Driving can be extremely fatiguing which can become dangerous for yourselves and other road users, so make sure you are stopping and refreshing your body and mind. Even if you just take a 5 minute breather to wander around and stretch your legs, a small break can make a world of difference! If you happen to be roadtripping in Australia, also make use of Driver Reviver stops. 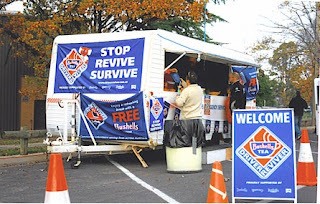 Driver Reviver is community program operated by volunteers, providing passing motorists with a free cup of tea or coffee and a biscuit, or simply a place to stop and chat with locals. 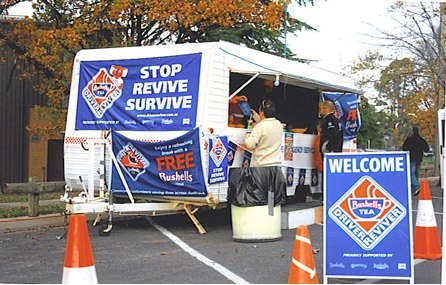 Across Australia there are around 200 Driver Reviver stops aimed at reducing road fatalities caused by fatigue. Clicking on the above link will show you the various sites where you can enjoy a free cuppa and help you plan your trip through Australia! Their slogan makes an important point to "Stop, Revive, Survive". Ok, I know this sounds like a given, but if you are travelling in a foreign country you should make yourself aware of any local road rules or strange signs that could have you puzzled and suddenly coping a hefty fine. When I roadtripped in the UK I thought I was going to be just fine! The only thing that was similar was that we drive on the same side of the road... Getting used to miles instead of kilometres and switched sides for wipers and indicators took a bit of getting used to. Then there came the weird white circle sign with a black line through it (wtf does that mean!?!). Google became my godsend for this and a few others I had never seen before. After this trip I've always made sure I know the local rules and signs so there's no more confusion! You don't have to tell me twice! 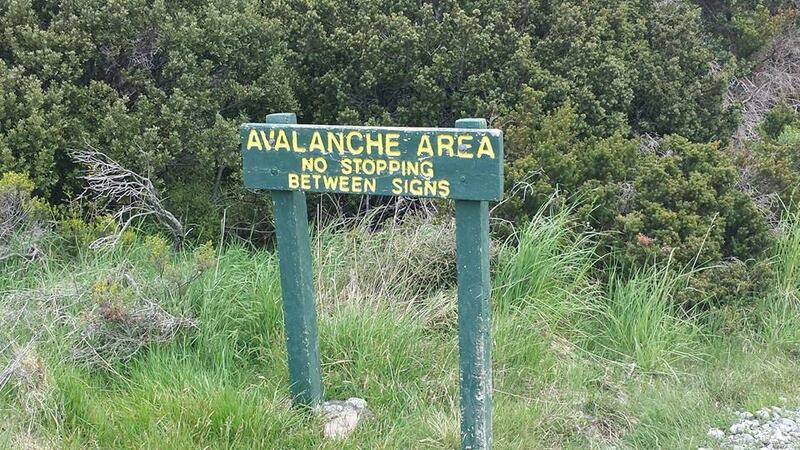 Remember to look out for warning signs too. Another thing to look out for is toll roads. In some countries these may still be manned by a person, however in others these are electronic or photographic. In some states of Australia our road tolls are done via a photograph system which requires payment within 3 days or you cop a pretty large fee. Make yourself aware of how toll roads work in the place you are visiting so you can set up a pass in advance or know how to pay for these within the required time frames. 10. Most importantly - HAVE FUN!